Dwarfing the mightiest! Towering over the greatest! In 1879, during the Zulu wars, man of the people Lt. John Chard (Stanley Baker) and snooty Lt Gonville Bromhead (Michael Caine) were in charge of defending the isolated Natal outpost of Rorke's Drift from tribal hordes, holding out during an Alamo-like siege until they are overwhelmed, losing the battle, but going down in history as heroes. 150 soldiers defended a supply station against some 4000 Zulus, aided by the Martini-Henry rifle "with some guts behind it". In the hundred years since the Victoria Cross was created for valour and extreme courage beyond that normally expected of the British soldier in face of the enemy only 1344 have been awarded. Eleven of these were won by the defenders of the mission station at Rorke's Drift, Natal, January 22nd to the 23rd 1879. Men of Harlech onto glory. "In the hundred years since the Victoria Cross was created for valour and extreme courage beyond that normally expected of a British soldier in the face of the enemy, only 1,344 have been awarded, 11 of these were won by the defenders of the mission station at Rorke's Drift, Natal, January 22nd to the 23rd 1879" Just typing out that spoken narration from Richard Burton brings me out into goose pimples, and the hairs on the back of my neck stand to attention, Zulu quite simply is my favourite film of all time, and my love for cinema to this day owes its credit to this 1964 masterpiece. Zulu is a perfectly staged, perfectly acted account of the British defence of Rorke's Drift, where 139 British soldiers held off 4000 Zulu Warriors at the height of the Anglo-Zulu War. Its strength is not in romanticism or over sentimentality in the name of glossy hard sell, the crux lies with just being a tale of pure courage, a tale of pure stoic heroism, it sticks vigorously to the actual events, and thus the film plays out with genuine honesty that few other War pictures can ever lay claim to. Where does one start when outlaying the brilliance this picture has to offer? The Natal location is stunning, beautiful lush rolling hills dwarf this tiny outpost, the sky a never ending eye witness to the courage unfolding, Stephen Dade's photography perfectly capturing this colourful extravaganza. The direction from the criminally undervalued Cy Enfield is excellent, along with his star and producer (Stanley Baker in a role of a lifetime) he manages to direct some of the most amazing battle sequences put onto the screen, the discipline of man to man combat perfectly orchestrated by Enfield. The Zulu extras, who once had no idea what they was supposed to do at first, finally grasped the concept of movie making and added weight to the drama. It's now down in legend that Baker showed the chiefs a Gene Autry Western and that got them into the swing of things! The acting right through the cast is astonishing, Baker, Michael Caine, Jack Hawkins, James Booth, Nigel Green, Ivor Emmanuel and Patrick Magee are just some of the cast that shine bright and bold. John Barry's score is blood pumping to the maximum, swirling strings collide with thumping base drums to give one the feeling of invincibility. 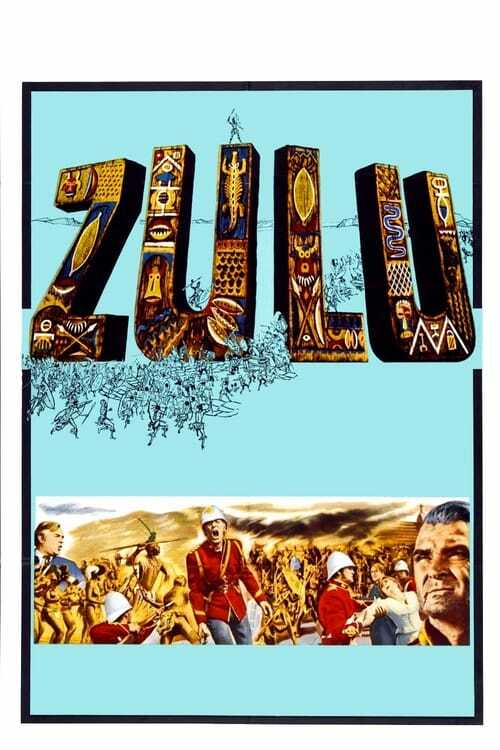 Ernest Archer's art decoration, Arthur Newman's costumes and of course the John Prebble screenplay that is Zulu's heart. I could go on and name everyone involved in this picture, such is the admiration I have for the work involved. But really the story sells itself, not a glossy British victory in sight (the British defenders were allowed to withdraw from the engagement gracefully), this is not just another British fable of imperialistic fervour, it's just a tale of bayonets with guts behind them, and ultimately a story of when men really were men, all in the line of duty. Men of Harlech onto glory...10/10 and then some.